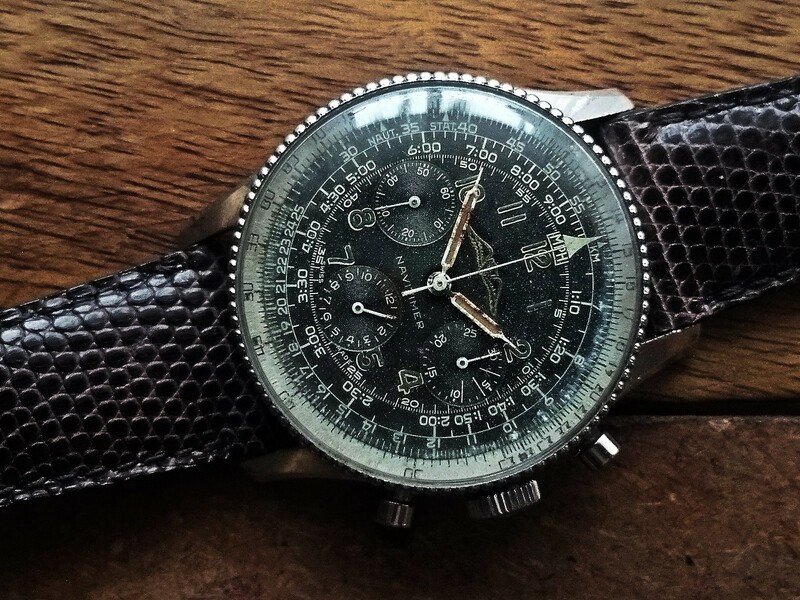 Today for sale is a the rare Breitling Navitimer ref. 806 in excellent original condition. Serial number 897xxx - production in 1957. Movement Venus 178 working fine. Very clean. Untouched case. New crystal. All functions work correctly. Reset to zero. The watch was fully serviced by a trusted watchmaker about a month ago. Since then rarely used. Breitling is fitted by slightly used, very soft lizard leather strap. Diameter without crowns 40mm. Between lugs 22mm. I looking for price 5250 € by wire or Paypal (add. + 4%) shipped by insured EMS to EU countries and USA or Canada. Watch and me are located at Poland.